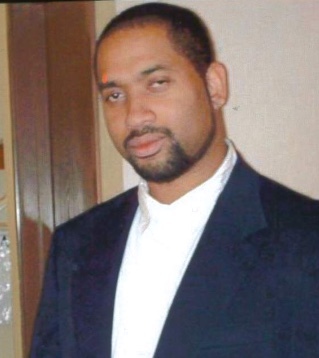 Terrence A. Scruggs II, (Terry) , 40, of Akron, OH, suddenly passed on Friday, March 22, 2019, He was born June 14, 1978, the son, of Anna Robinson and Terrence A. Scruggs, Sr. Terrance attended Buchtel High School and graduated in 1996 and had a great knack for technology. He was a great family man. Terrence is preceded in death by his maternal grandfather, Pryce Brooks, Sr. and is survived by his children, Terrence Scruggs III , Tyion Scruggs , Johnathan Scruggs, Nathaniel Scruggs and Victoria Scruggs , his parents, Terrence Scruggs, Sr., of Akron and Anna Robinson of Jacksonville; maternal grandmother, Ruby Brooks of Jacksonville; paternal grandparents, Cleophus and Deborah Scruggs, of Akron; sisters, Syreeta (Jamie) Scruggs, Bridget Clayton, Trina Bowman, and Tiffany Davis; nieces, Cavonna and Jaeden of St Augustine; his girlfriend and love, Kasie Haines and a host of uncles, aunts, cousins who were like siblings, other cousins, relatives, extended family and friends who all loved him dearly.